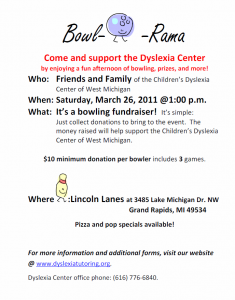 Join us Saturday, March 26th at Lincoln Lanes for a Bowling Fundraiser. $10 minimum donation includes shoes and three games! Pizza and pop specials available. Click here for copies of the flyer and forms.